I've had this post drafted for ages because I don't know what to call it but I really want to get it finished so here I am hoping to publish this today!. 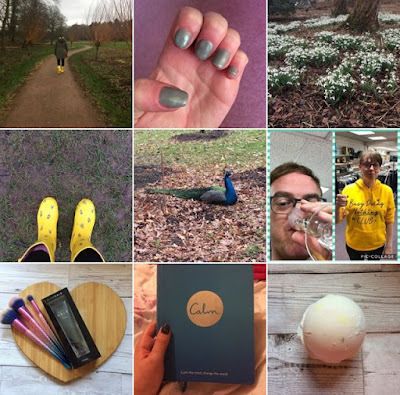 I've written many posts about having Fragile X and they've all done so well which I'm glad about. I like to know I'm helping others and it's good to know I can relate to others, I don't feel so alone as I know others are in the same boat as me. As it's Fragile X awareness day today I think it's a good time to post it. It hasn't been easy for me to find a job when I left school I went to college and then when that ended I had to sign on and ever since then it's been hard to find a job. I think my first proper job well temp one was at Sainsbury's at Christmas in 2011, then that ended and I was unemployed until I got another Christmas job at M&S in 2015. I applied for a job as a marketing assistant in 2016 the job was dealing with probate etc, I didn't think anything of it until I got invited to an interview so off I went and got the job the same day! then the start date came around in January 2017 and it all went downhill from there. I found it hard, I didn't get any help or support and they didn't understand Fragile X. I didn't really like the people and felt left out because this other girl was there more than me and they bonded. 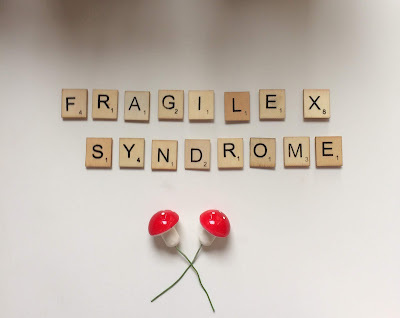 I took part in Fragile x research in Edinburgh in June for a MRI scan but I didn't have it done because I panicked and felt anxious and claustrophobic. It really upset me and I felt so silly for going all that way with my mum. It bothered me afterwards because I wanted to have it done but I just couldn't. I took part in other research but still felt like I was a let down. How I Feel Day To Day. Sometimes I'm quiet and don't say a lot if someone or something bothers me, sometimes it's stupid but I can't help it. 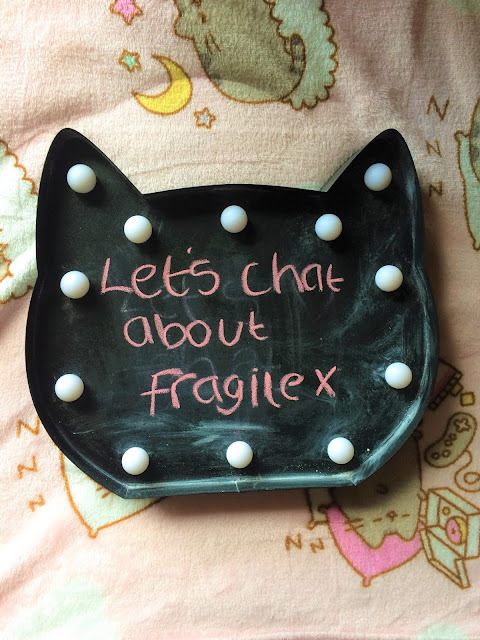 I also find it hard to explain what Fragile X is so I try and avoid that but I do try and tell people. I sometimes don't always look at people in the eye but I do occasionally, though I think I'm getting better at it now. I really find it hard to ask for help with things because I feel silly even asking something simple I don't know why I find it hard but I get worried and scared. When the bus doesn't show up it throws me off because then I don't know what to do and I panic I'm going to be late for work etc. I don't like lifts much I try and avoid them at all costs because I hate small spaces I panic and feel anxious. I don't even like using public toilets. I find it hard meeting people and striking up conversation because I'm shy and quiet and I find it hard to start talking. I don't like being around drunk people and I'm not keen on alcohol either I feel uncomfortable around drunks.